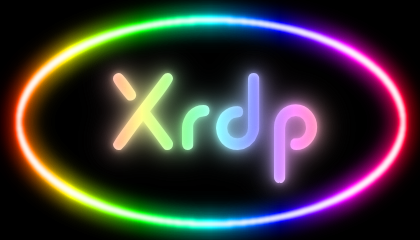 UPDATE: XRDPConfigurator Is Now Open Source! XRDPConfigurator – A GUI application to configure Xrdp! See the dedicated XRDPConfigurator Page at : http://scarygliders.net/xrdpconfigurator/ for full details! I have just released XRDPConfigurator – a GUI application to configure your Xrdp server – as Open Source, under the Apache License version 2.0. I had originally intended for it to be a commercial product whereby a user would have to purchase a license in order to use it. After some soul-searching I came to the conclusion that a program of this nature simply isn’t viable as a commercial app. For one thing, it’s kind of a “one-shot” application, in that once you have configured your XRDP server, there’s no need to use the program again – not for a long time until you need to reconfigure your Xrdp server. The use case differs markedly from, say, a word processor, or an IDE – those get used every day. So I thought to myself, rather than just remove the closed application from the internet and horde the code to myself, why not just release it as open source instead? The world now has a freely-available GUI configuration tool for XRDP. I can now add this to my slowly growing collection of Things On My Resume. I can use this to demonstrate that I can Ship Code – I have a number of potentially more commercially viable ideas that I shall now work on, and I shall begin offering my services as a bespoke programmer for small-to-medium enterprises, under the auspices of my business. I learned a great deal whilst developing this project. Not only was I learning Python whilst writing the application (which will probably manifest itself in the code ;) ), there was a lot of spin-off learning too; I have removed the web site I developed in Django (4 months of developing just that site, from knowing nothing about Django, to being able to integrate django-cms with django-zinnia plus the Django Oscar shop) that I was using to try to sell the application. I learned a lot about creating a License generation and verification scheme for use within that program (all such code safely sanitized in the open source version of course ;) ), and I learned one or two things about what types of software ideas could be commercially viable – or not. For me, there have been more positives about spending my last 12 months doing this, than negatives.